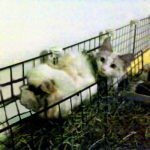 For November, we were able to choose two cat products (at no cost) to review for you. 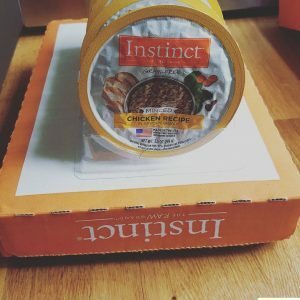 We got help from all the cats in the household this month, but no action shots of the girls eating. I did get a great video of the boys that I hope you enjoy as much as we did. 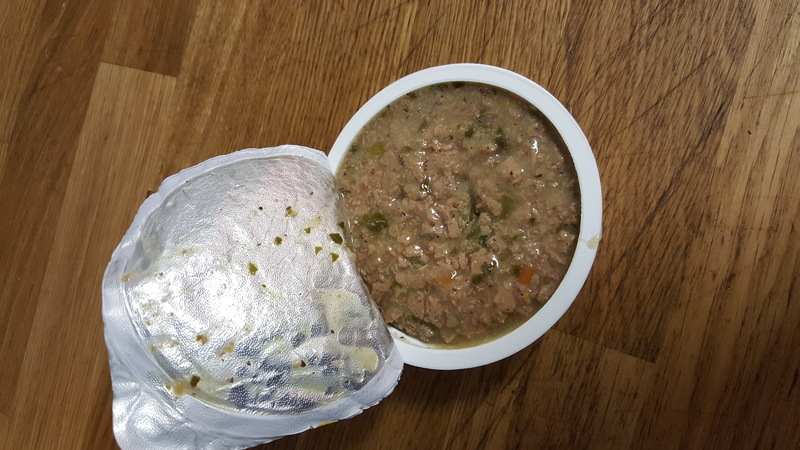 You receive the food cups standing up in two plastic sleeves. For being covered in gravy, you can still see a nice texture. 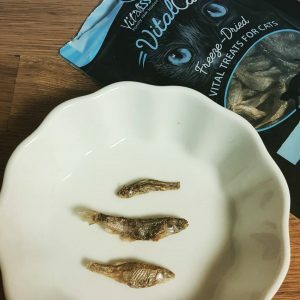 Perfect sized bites for the petite or prissy cats. What the girls did with this Nature’s Variety was to lick all the gravy off and come back later, and then finish what was in the bowl. 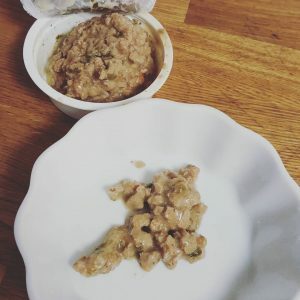 It didn’t smell too different from their regular pate diet (by the same company) and on occasion, the alpha cat, Tom, burst into the kitchen and shoved the girls aside and started eating this food from their microchip feeder. No one in the house turned this away. 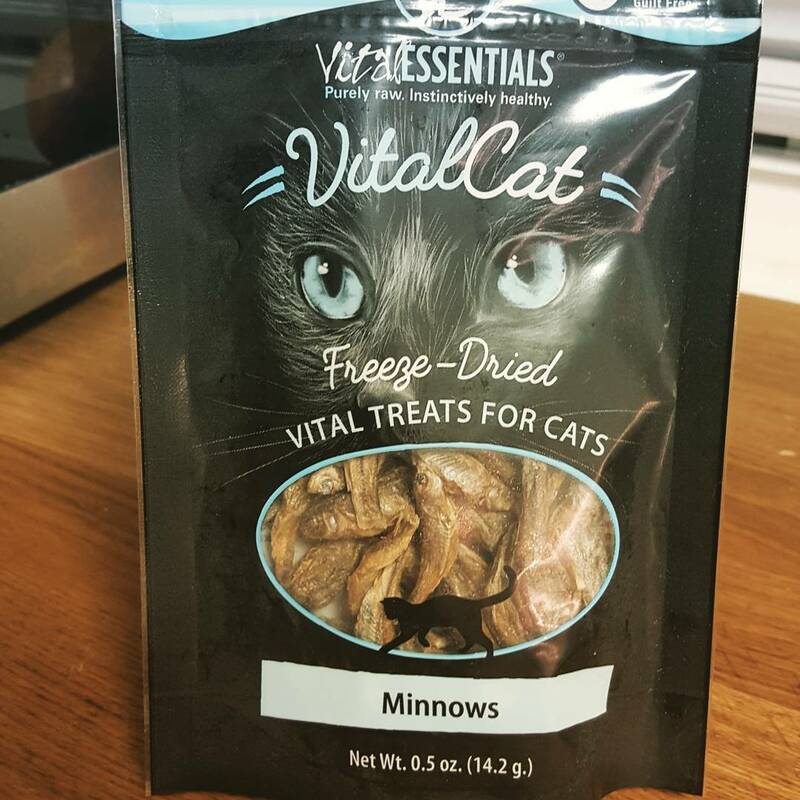 Our other fun find was the Vital Essentials freeze dried treats. They have a good variety of flavors available for both cats and dogs, but I wanted my boys to try something new. Squeam if you will, but I got them whole MINNOWS! Oh noes here come the fishies! They love them. They’re only 41 calories per bag and are a guilt-free pleasure. Freeze dried makes them shelf stable without cooking. Please wash your hands and surfaces after serving and it’s recommended to consume within 30 days after opening. Here is the rest of the cat treat catalog.